NORTH EAST, Md. 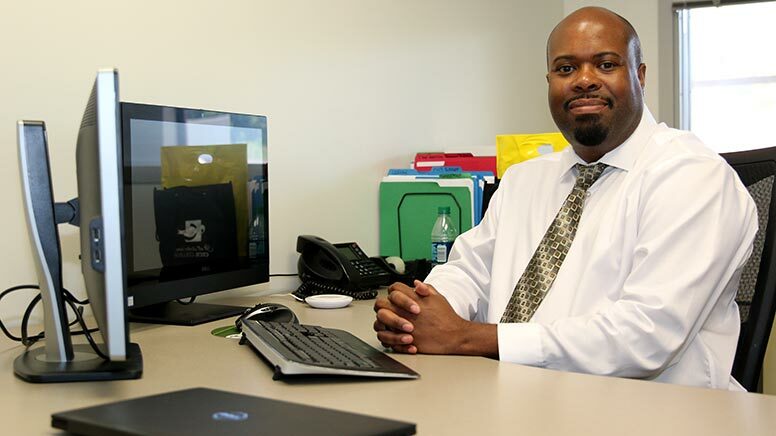 – Cecil College is excited to welcome Maurice A. Tyler as the new Chief Information Officer, as he brings more than 20 years of leadership experience managing large-scale data centers and diverse groups of Information Technology specialists. Tyler holds a Bachelor of Science in Computer Science and Master of Science in Computer Science from North Carolina A&T State University in Greensboro, N.C. He is currently working toward his Ph.D. in Information Technology Management from Indiana State University. Tyler will be the gatekeeper of the technology systems for Cecil College as the senior administrator of the computing hardware, software and network infrastructure. “The trend is ‘cloud first.’ Instead of buying and maintaining expensive servers and applications, colleges are contracting with companies like Amazon and Google who specialize in this model for providing computing resources. They host the infrastructure, maintain it, and keep it current. That way, it defers the cost from the institution for having to maintain those servers onsite,” said Tyler, about solutions to offering students and faculty state-of-the-art technology. Tyler was an Information Technology Director at the University of North Carolina at Greensboro from 2011-18. Before that, he was an Information Technology Director at North Carolina A&T State University from 2002-11. He also worked in IT in the private sector for several years. Tyler holds certifications and training certificates in project management, IT governance, network architecture, technical support, and systems administration. His IT experience covers software development frameworks such as DevOps and Scrum; cloud platforms including Microsoft Azure and Amazon Web Services; various operating systems including Linux, MAC OS, Microsoft Windows, and UNIX; as well as databases such as Oracle, MySQL, and SQL Server. Tyler will be placing the focus of his first few months on student success and ensuring the College’s IT services meet the needs of the institution and its constituents. Among some of the possible projects, this semester is overseeing the initiative to make the North East Campus completely wireless. “I am all about accessibility for students. Knowing that every student may not have internet access or computers in their homes, I am very keen on being able to help them get an education by ensuring the necessary technology is in place here on campus,” said Tyler, who is a native of Wilmington, Delaware. Tyler’s strengths as an administrator include devising technological solutions focused on customer service, efficiency, cost-effectiveness, continuity of operations, process automation, autonomic computing, and systems integration. Tyler took the helm of the IT division at Cecil College on Sept. 4. He is in the process of settling in Cecil County with his wife, Natasha.